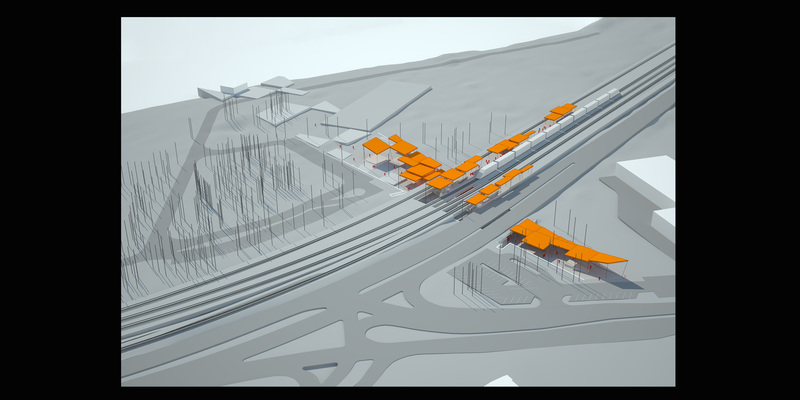 Pärnu rail road traffic volume is low, and will probably remain so, even if Pärnu gets to be a part of the RailBaltic chain. 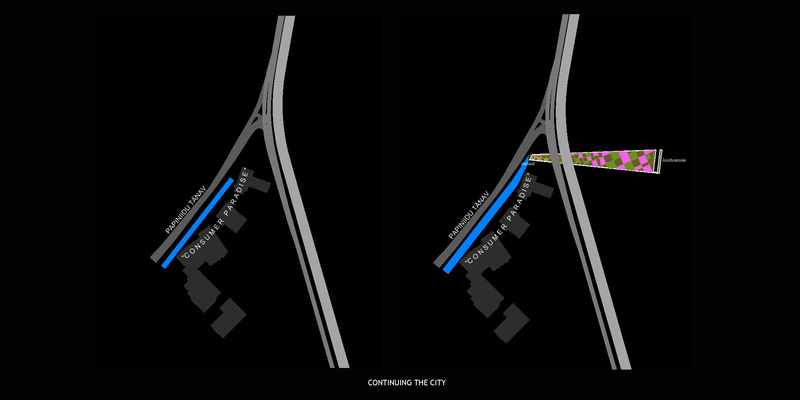 On the other hand, a bigger investment could be justified if the station became a catalyst for new development. 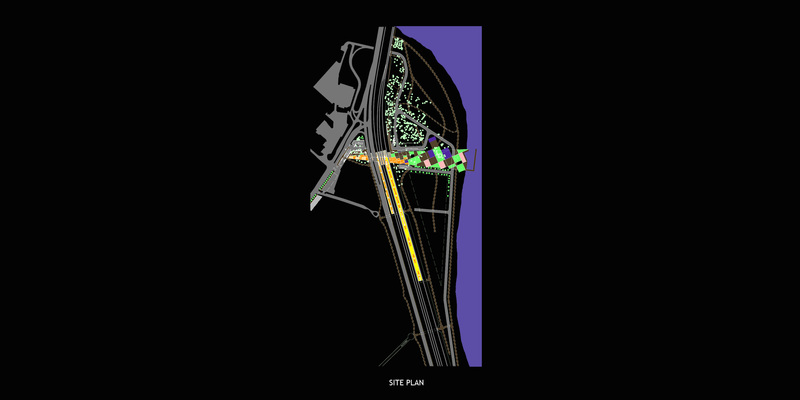 Cut apart by the highway / railroad corridor, the two sides of the tracks could be reunited by introducing a new landscape-architectural object, which would combine a passage with a train station, thus extending the city towards the park and pulling the park closer to the city by utilizing various landscape art techniques. 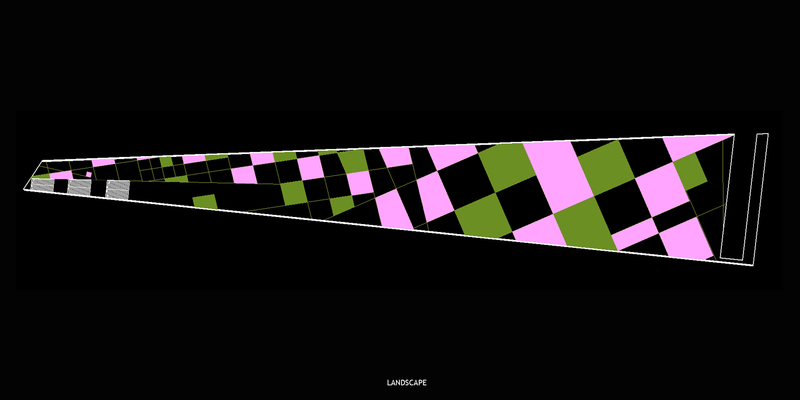 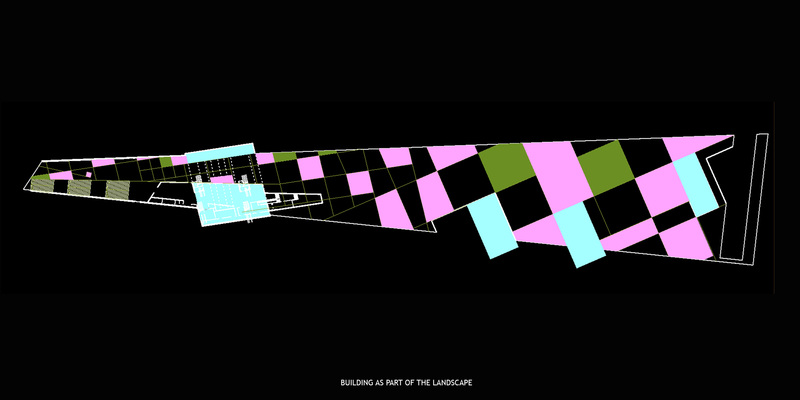 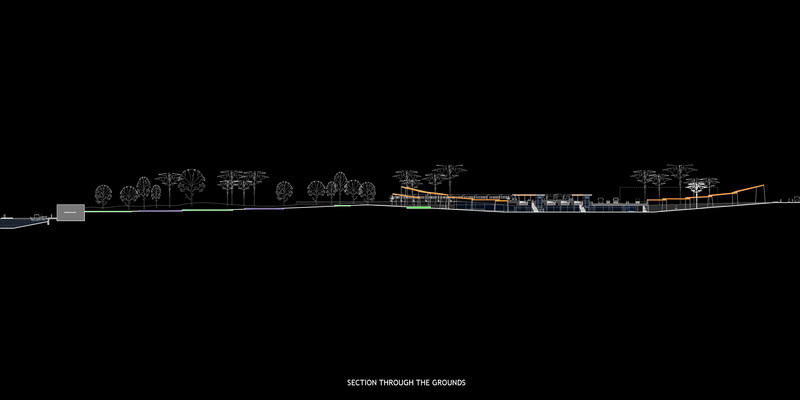 The city end of the passage would be narrow and urban, the park end – wide, blending into the landscape. 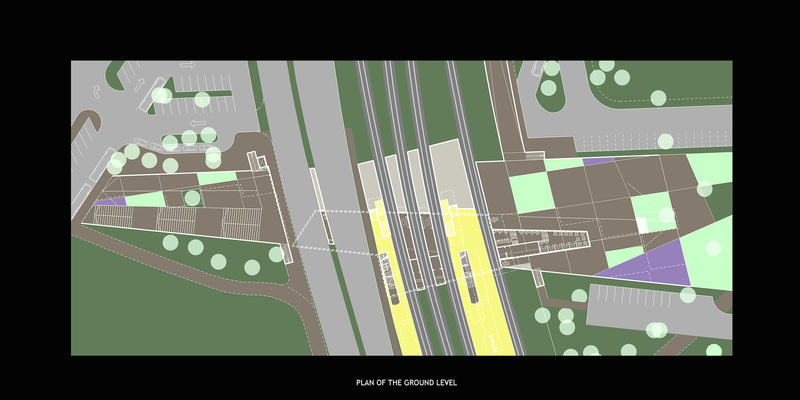 According to the proposed design, the city side of the station would accommodate public transport and taxi stops, parking and drop-off; additional parking could be accommodated on the other side of the tracks later, if necessary. 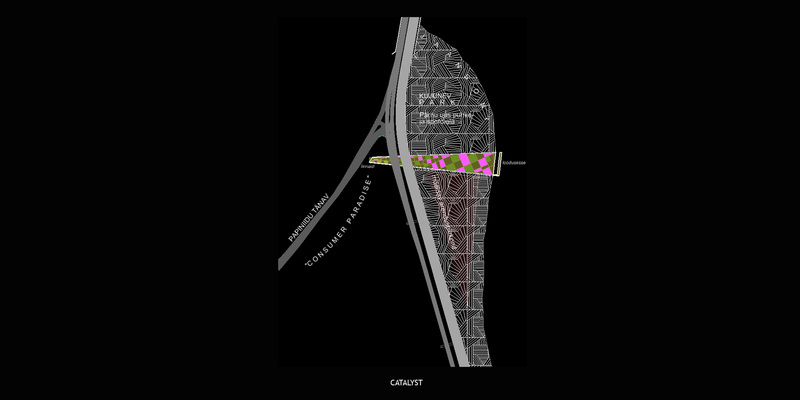 The passage would accommodate greenery where possible, and would be open to the sky in all places except the flights of the road and the rail road. 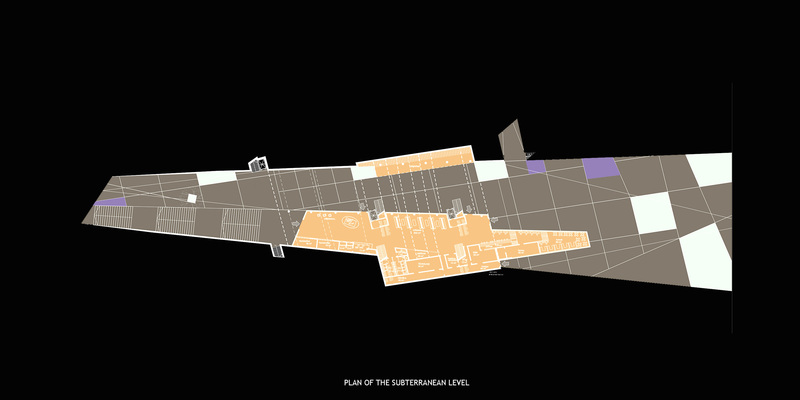 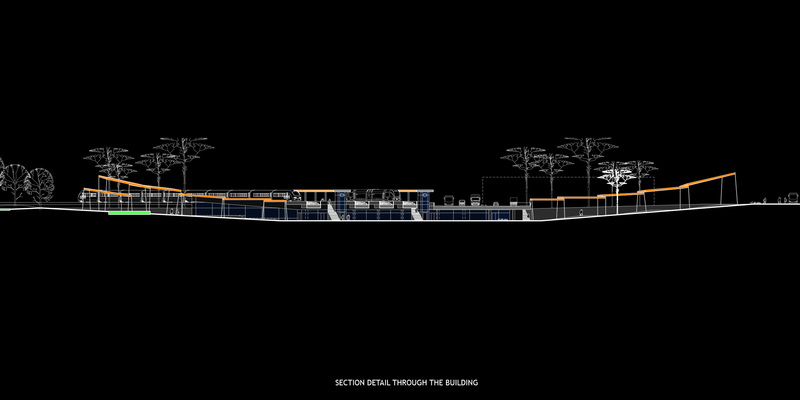 The building envelope of the station would be submerged, forming one of the “walls” of the passage. 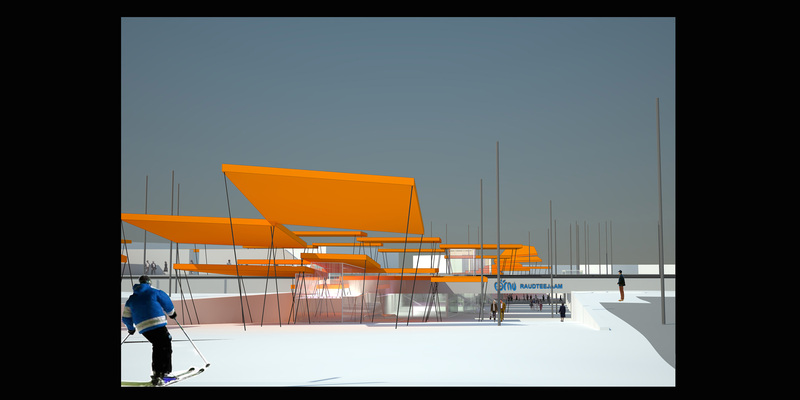 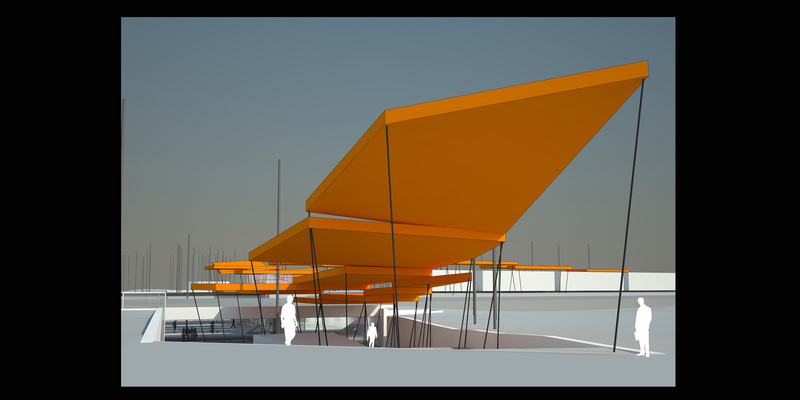 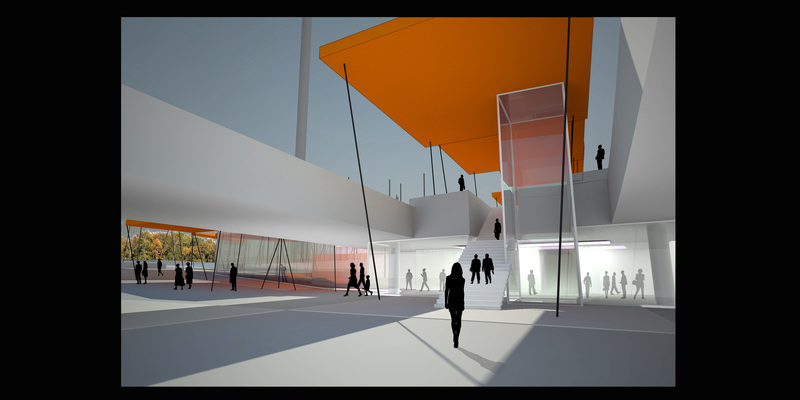 It would contain the required waiting areas, shops, offices spaces, information and ticket kiosks. 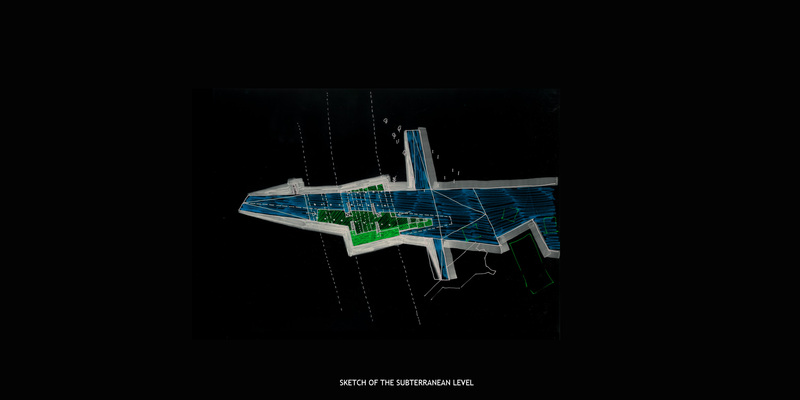 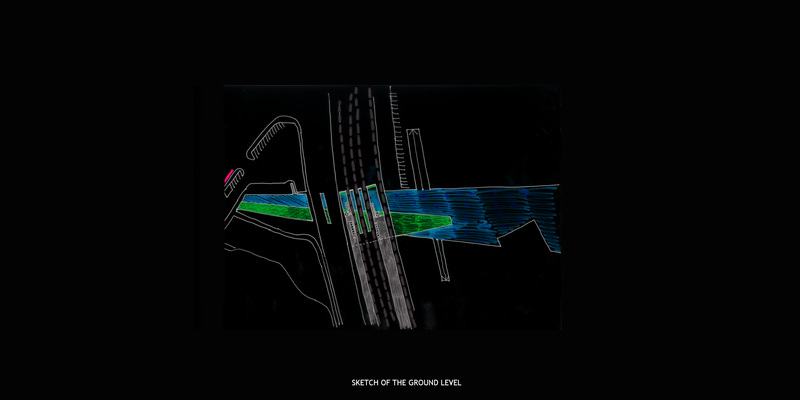 Otherwise rendered invisible, the station could be marked in urban space by its roofscape which would mirror the formal language of the passage landscape.